Each new day provides an arena for God’s mercy to work reconciliation. His plan is to change lives and transform communities as He reconciles all things to Himself through Christ. Can the foundational beliefs, values and practices of a community be exchanged for those that reflect the nature of God? Can the spiritual DNA of a city, be altered? Can governance, justice, education, commerce and media receive a new heart and character? Can a nation be given a new song? Impossible for man but not for God. And He calls us to work with Him in His mission to harvest and transform. The Spirit of the Lord empowers His church to displace spiritual darkness and display Light that can transform hearts and cultures. Transformation is not about creating perfect societies on earth. It’s about the Spirit working undeniable changes in communities, transformations that defy natural explanation and point clearly to God at work. Mercy’s work of reconciliation will climax and culminate when Christ returns. But until then He works through us to extend His rule in all the earth and into all of life. Prayer is both core and cutting edge of this Kingdom movement to transform hearts and communities. That is what the track, ‘Praying for Transformation’ is about. 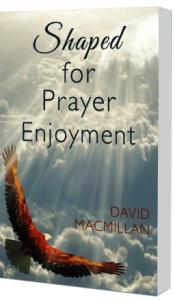 It focuses on praying for the Kingdom’s penetration and healing of target communities. It builds understanding of the foundations of earth’s city, and of Christ’s church as the Kingdom’s agent of healing and reconciliation.